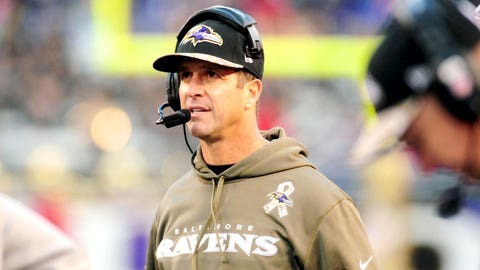 Ravens look to maintain hold on No. 6 seed in AFC Wild Card. After holding on to win in a down-to-the-wire matchup with archrival Pittsburgh, the Ravens find themselves in control of their playoff destiny. Looking to get above the .500 mark for the first time since Week 5, Baltimore will need another stellar effort from a suddenly rejuvenated defense. Despite a slow start, Terrell Suggs and Co. are once again a Top 10 unit and are only allowing 19.6 points per game. It shouldn’t take much to disrupt Matt Cassel and as long as Adrian Peterson doesn’t go legend on the entire Ravens D, they should be able to neutralize the Vikings ground attack and control the pace of the game. Minnesota is winless on the road this year posting a 0-5-1 record. To think they can go into one of the toughest road venues in the league and keep it close seems like a bit of a stretch. With two teams heading in opposite directions, look for Baltimore to handle business at home and easily coast to a double-digit win and cover against a team that already has an eye on next season. Only in a league as unpredictable as the NFL would I dare back a team the week after they were completely exposed. With both teams sporting identical 9-3 records, this showdown will give the winner the inside track to a division title as well as a first-round bye. As lights out as Cam Newton has been during Carolina’s eight-game winning streak, I’ll still take the quarterback with a postseason track record and a Super Bowl ring on his finger. Drew Brees has forgotten more about big games than Newton has played in and that kind of experience is priceless in games of this magnitude. 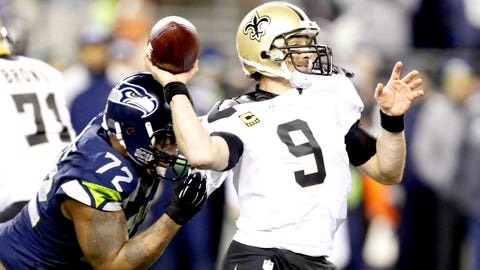 Both teams feature top 10 defensive units and although the Panthers give up only 13.1 points per game, expect Drew Brees to make a few more plays down the stretch. The Saints playmakers on offense will be the difference in a tight back-and-forth battle that will stay competitive until the end with New Orleans edging out a hard-fought division war. A heavyweight fight of this caliber is usually reserved for a Saturday night in Las Vegas. However, it’s the Bay Area that gets to host this statement game. 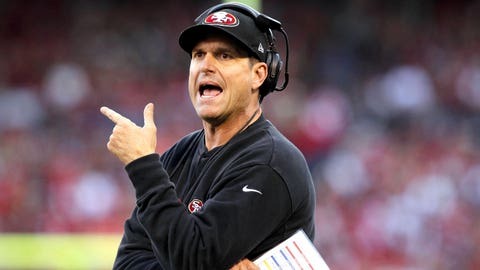 Whether it’s Jim Harbaugh and Pete Carroll taking jabs at one another or two defenses calling each other out, this rematch has all the ingredients to surpass the previous installment. Forget what the numbers say. These are hands down the two deepest and most-talented defensive units in the league. When you add the pure hatred these teams have toward one another, it reminds us all of a time when great rivalries helped shape the NFL. Two young signal callers will write another entertaining chapter in their own personal rivalry and attempt to take the next step toward superstardom. These two teams are mirror images of one another so expect both coaches to struggle executing and sustaining offensive drives even with elite backs Frank Gore and Marshawn Lynch at their disposal. It’s the little things that will make a huge difference in this game. Expect a defensive struggle the whole way through with a big turnover or defensive play being the difference as San Francisco evens the score with its most bitter rival and keeps control of the final NFC wild card spot. 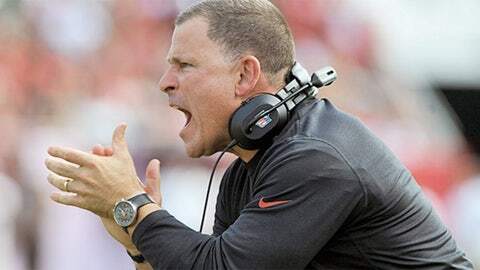 Coach Greg Schiano of the Tampa Bay Buccaneers yells after a 1st half touchdown against the Atlanta Falcons November 17, 2013 at Raymond James Stadium in Tampa, Florida. Look for one of the soundest plays on the board to come through again. Inter-conference overs have continued to pay off at nearly 70 percent. Buffalo has been wildly inconsistent scoring points this year and the defense remains near the bottom in points allowed. After allowing 34 to Atlanta last week, it appears as if they will continue to allow other offensive units the opportunity to get right at their expense. Speaking of getting right, after nine straight losses the fighting Schiano’s have won three of their last four games. Since cutting ties with Josh Freeman and losing their best offensive weapon Doug Martin to a season-ending injury, this Tampa unit has adopted a next-man-up mantra that has allowed guys like Mike Glennon and Bobby Rainey a platform to prove they belong in the league. Neither have disappointed. Since becoming the starter, Glennon has tossed 13 TDs to only 5 INTs, while energizing a once lifeless group of receivers. Despite EJ Manuel’s inconsistencies, head coach Doug Marrone has been able to lean on veteran back Fred Jackson and the emerging CJ Spiller to form one of the best backfields in the league. Expect both offenses to showcase their talents as this game turns into a shootout and easily exceeds the surprisingly low total of 42.5. Typically, weather doesn’t play much of a factor in my analysis. However, with a number this high and a forecast that calls for snow flurries, sleet and freezing rain throughout the afternoon this was a game that left no choice. Both Shady McCoy and Reggie Bush possess the talent to turn any handoff into a highlight reel house call, but expect the play calling to be a bit conservative by both coaches as they get their young teams battle tested and prepared for postseason football. 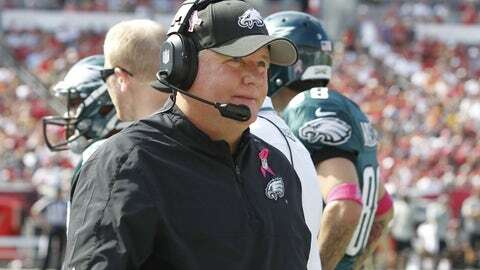 Each team possesses middle-of-the-road defenses, but they’ve both been exceeding expectations. This game can go a long way towards determining the NFC playoff picture and with so much on the line, expect both teams to leave it all on the field as this game cruises under what is now the highest total on the board.